One of the most dramatic ways to eradicate cockroaches—the bug bomb—may be more harmful to humans than to pests, according to a new study. In a real-world test, the study found that several bug bomb brands did nothing to eliminate cockroach infestations, especially when compared to simple gel bait traps. At the same time, these bombs also left behind levels of pesticides that could threaten the health of people. Only a few species of cockroaches are actual pests, but those that are can be sickening in more ways than one. While they are capable of transmitting diseases like typhoid and polio, it’s the allergies roaches can spark and worsen, like asthma, that are their largest health risk. 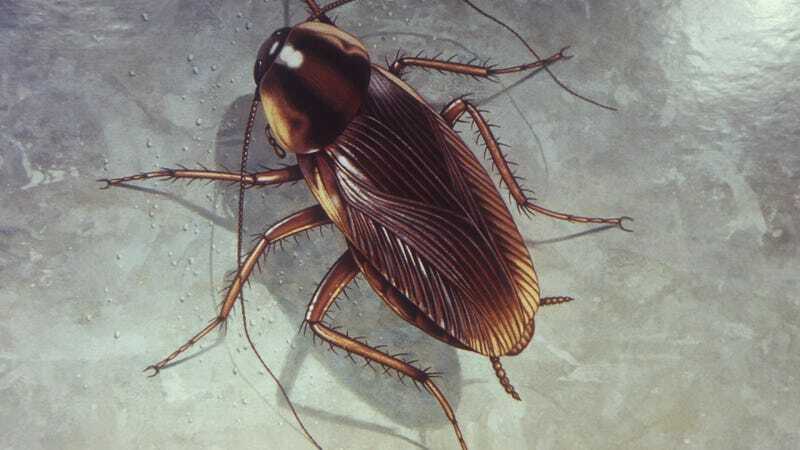 Of all pest roaches, it’s the small, flightless German cockroach that is most commonly found in homes, restaurants, and other human establishments. Many people consider bug bombs, or total release foggers as they’re otherwise known, the bunker buster of pest treatments. But experts have increasingly shied away from recommending them for indoor use. A decade ago, a study from the Centers of Disease Control and Prevention found that the use of bombs could lead to health problems like vomiting and painful cramps; more rarely, the flammable chemicals in these bombs can literally cause fiery explosions. And states like New York have tried to dissuade the public from using them at all, though apparently without much success. Leaving the safety risks aside, it’s a sad fact that many pest species, including cockroaches, are becoming totally resistant to the insecticides found in these bombs and other chemical treatments. But according to the authors of this current study, published in BMC Public Health, there’s been no actual research looking at the effectiveness of these bombs in killing off the German cockroach in a real-world setting, until now. The team, led by Zachary DeVries, an entomologist at North Carolina State University, recruited people living in low-income buildings with documented roach infestations, offering to get rid of their problem. In total, 30 homes were treated. A third of these homes were first treated with sweet-smelling but deadly bait traps, while the rest were given one of four store-bought bug bombs. Before each treatment, the researchers counted roaches collected in traps to establish a baseline level of infestation. They also planted a small cage of wild (collected from the homes earlier) and lab roaches in the homes right near where the bombs would go off, using them as a measure of the treatment’s deadliness. As expected, the gel baits worked. Within a month’s time, they drastically reduced the cockroach population by two-thirds or higher, based on the trapped roaches counted afterward. But the bug bombs failed completely. Roach populations in many of the bug-bombed homes even rose slightly. The findings are “the first conclusive in-home evidence that these products are inappropriate tools for abatement of German cockroach infestations,” DeVries and his team wrote. The bug bombs failed for several reasons, according to the authors. For one, many roaches in the wild are capable of surviving even a direct pesticide hit. While all of the lab roaches died, since they were bred without resistance genes, only 38 percent of the wild roaches perished. But resistance was only part of the problem. Bug bombs also often failed to cover the entire home with pesticides, regardless of where they were triggered, so it was easy for roaches to avoid the poison entirely. But they did leave lingering levels of chemicals in these homes that could make people sick. According to the authors, that finding might explain why low-income homes tend to have higher levels of pesticides. Poorer people may rely more on these bombs to address roach infestations, since they don’t have enough money to pay for professional treatment. In this study, fortunately, the homes unsuccessfully treated with bug bombs were then treated with bait traps. Bug bombs are often cheaper than bait traps. One bait used in the study, for instance, cost over $20, while the bombs ranged from $8 to $12. But given the fact that bombs don’t work and come with plenty of risks, baits are the best roach-killing option for the average person to have handy, according to DeVries. “We are strong advocates for the use of gel baits. Baits are highly effective, targeted (put out only small amounts of pesticides in concealed, inaccessible locations), and pose little to no exposure risk for humans,” he told Gizmodo via email. While baits can appear difficult to use, he added, their labeling directions should be straightforward enough to follow. And if nothing else, your local university should have a pest expert, also known as an extension agent, who should be able to offer advice. That said, some roaches are evolving ways to avoid traps, though not to the same degree that they are evolving resistance to pesticides. You can prevent roaches from developing resistance to the chemicals used in the baits themselves by routinely switching out brands. A little patience is also recommended, DeVries noted. Repeated bait treatments alongside other interventions like caulking up vulnerable openings and cleaning thoroughly can also help you get rid of roaches entirely.